Gray and black interior completes the car's hi-tech look. Recently, we showed you a rather controversial project released by Porsche Exclusive, creating a Palladium Metallic Cayenne S with a true love-it-or-hate it result. 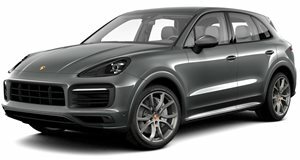 Now, the bespoke department has unleashed another specially-ordered Cayenne, this time an S E-Hybrid finished completely in Grey Metallic. If the first project was too colorful for your palette, you may find this Porsche SUV to be more up you alley, assuming you can handle the fact that it's a hybrid. Beyond the paint job, Porsche Exclusive has added a new roof spoiler, tinted headlights and taillights, a matching rear diffuser and a new set of wheels – done in black with silver lips. The matching interior is completely finished in gray and black leather, with green contrast stitching and several silver elements throughout.